After years of escalating tensions, the Galactic Civil War finally erupted when members of the fledgling Rebel Alliance mounted a bold attack on the top secret Imperial research facility on Scarif. Soon, you can experience this battle through the eyes of the Rebel forces who fought there. These expansions capture the essence of the Rebel Alliance, giving you everything you need to build a strike team that can quickly infiltrate Imperial lines and complete their mission no matter the cost. 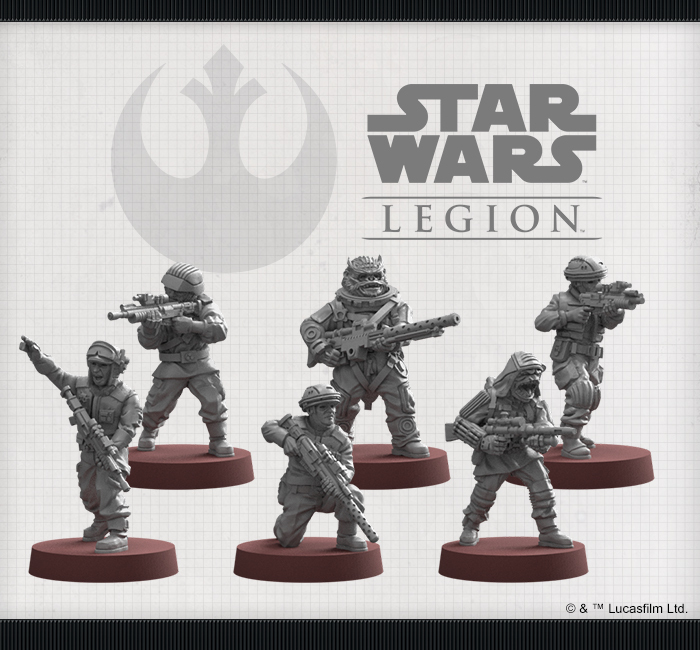 Containing a crack unit of elite Rebel soldiers and a new commander bold enough to lead them on even the most dangerous missions, these expansions give you exciting new options for constructing your Rebel army and pushing back against the Empire. Spies, saboteurs, and assassins, the Rebel Pathfinders are the most elite, and the most deadly, of the Alliance’s soldiers. These grizzled combat veterans need unwavering dedication to their cause in order to endure the horrors of their operations and missions. Those for volunteered for the Battle of Scarif in particular were willing to sacrifice everything for the dream of the Rebellion. 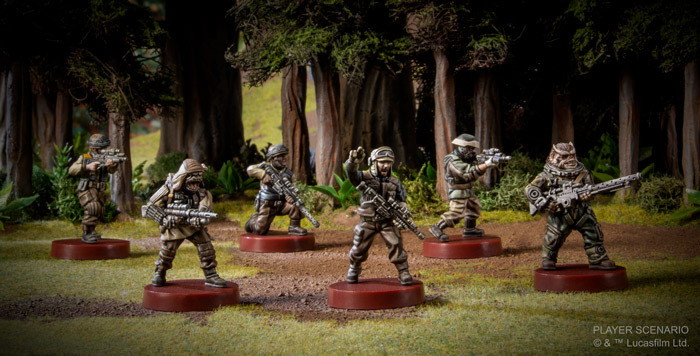 No strangers to operating behind enemy lines, a group of Rebel Pathfinders is the perfect special forces unit to take your enemy by surprise and keep them off-guard from the very beginning of a game. Since they’re usually already operating on the battlefield before an engagement starts, traditional deployment zones mean little to these troops. Instead, they can deploy anywhere on the battlefield beyond Range 3 of all enemy units. Once they’re in position, you’ll find the Rebel Pathfinders can quickly adapt to the changing tenor of a battle as they reconfigure their A-300 Blaster Rifles to be effective at both short and long range. The Galactic Civil War has begun and the Empire looks to end the Rebellion in one decisive blow. 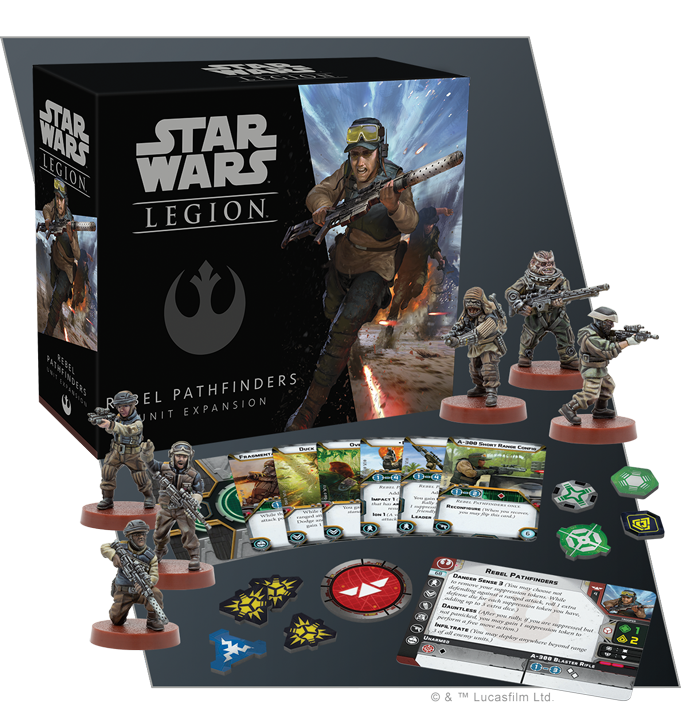 Keep the Rebel spirit that began on Scarif alive with these expansions for Star Wars: Legion!